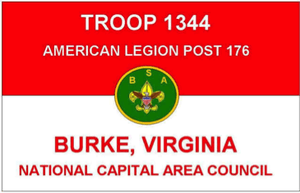 The American Legion Post 176 provides Boy Scout Troop 1344 with space to store their trailer. The Scouts, who meet at a local church, have 17 Scouts. This year, the Post gave $750 worth of material from Home Depot to assist with an Eagle Scout Project. There are four boys at the Life Scout rank, one of which are on schedule to achieve Eagle Scout in the near future. The scouts work closely with the Post whenever possible, and over this past membership year have assisted with Post cleanup activities and Bridge Walk. The troop meets every other week in the months of July and August.